Guitariste et Chanteur Country US né le 29 Septembre 1930 à Long Beach (Californie). 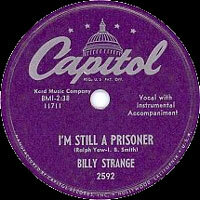 Billy Strange est décédé le 22 Février 2012. 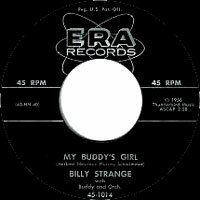 One of the most successful session musicians of the 1960s, Billy Strange was a member of "The Wrecking Crew," the team of elite players who dominated the Los Angeles recording studios and worked on many of the biggest hits of the '60s and '70s. Strange co-wrote hits for Elvis Presley and Chubby Checker and arranged Nancy Sinatra's biggest hits in addition to lending his talents to recordings by the Beach Boys, Phil Spector, the Everly Brothers, and many more. 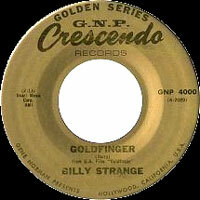 Billy Strange was born in Long Beach, California on September 29, 1930. His parents, George and Billie Strange, were county & western musicians, and young Billy followed in their footsteps, performing with his folks on the radio and winning a yodeling contest at the age of 5. Strange took up the guitar when he was 14, and two years later he was playing with a local honky tonk band that set out for Texas in search of adventure and paying gigs. 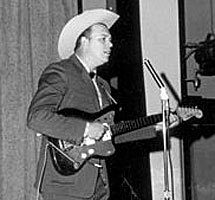 When Strange returned to California, he was a seasoned professional and was soon working with some of the biggest names on the West Coast C&W scene of the '50s, including Tennessee Ernie Ford, Roy Rogers, Spade Cooley, and Cliffie Stone. 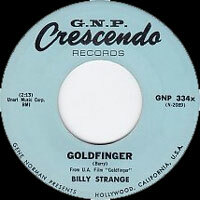 Strange also signed on as a guitarist and singer with CBS Radio in Hollywood, which led to more jobs in pop music as well as introducing him to the lucrative world of studio work. 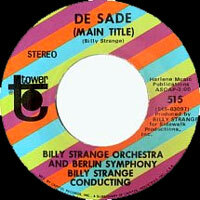 As a gifted guitarist who was as comfortable with pop and rock styles as country, Strange rose to the upper ranks of Los Angeles session players, working with many of the leading artists and producers of the day, and in addition to working on other people's recordings, he cut a series of instrumental albums for GNP Crescendo Records. 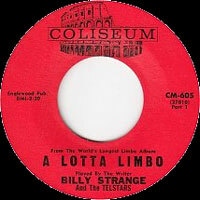 In 1962, an instrumental number Strange wrote for the group the Champs was married to a lyric by Kal Mann and recorded by Chubby Checker, who scored a massive hit with "Limbo Rock." 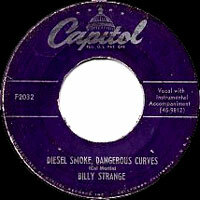 This kick-started Strange's career as a songwriter, and he was also recruited to work with Elvis Presley, playing guitar on many of his sessions, co-writing a few tunes for the King (including "A Little Less Conversation" and "Memories") and contributing to the soundtracks of several of his films. 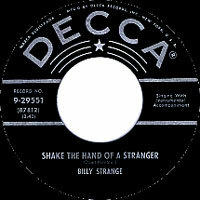 As the '60s wore on, Strange remained in demand as a session guitarist (he appeared on the Beach Boys' Pet Sounds and Love's Forever Changes), but he branched out as an arranger and bandleader, arranging the lion's share of Nancy Sinatra's hits (including "These Boots Are Made for Walkin'," "Bang Bang [He Shot Me Down]," and her duet with her father Frank, "Somethin' Stupid") and fronting her backing band for live performances. 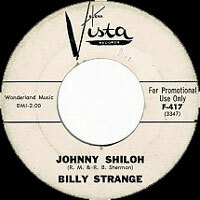 Strange also served as arranger for the early recordings by the TV-spawned group the Partridge Family, but in the early '70s he relocated to Nashville, Tennessee, where he helped run a publishing company for Nancy Sinatra and continued to write songs and record periodically. In the '80s, Strange briefly dipped his toes into acting, playing the great steel guitarist Speedy West (who Strange had worked with in his early days) in the movie Coal Miner's Daughter. 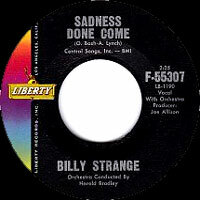 By the time a remix of Presley's "A Little Less Conversation" took the song back to the charts in 2002, Strange was retired in Nashville, supporting himself through songwriting and performance royalties. 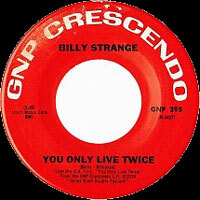 After a brief illness, Strange died on February 22, 2012. 09/1963 SP GNP / CRESCENDO GNP 304X (US) . 12/1966 SP GNP / CRESCENDO GNP 380X (US) . 11/1969 SP TOWER 515 (US) . 1974 SP GNP / CRESCENDO GNP 477 (US) . ???? SP GNP / CRESCENDO GOLDEN SERIES GNP 800 (US) .